How high are realtors' and lawyers' fees in Seychelles? What about other property purchase costs? 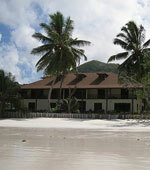 How difficult is the property purchase process in Seychelles? Foreigners are allowed to buy residential property, to be used only by the buyer and his family, in Seychelles upon approval from the Government. Also, the Immovable Property (Transfer Restriction) Act prohibits the lease of immovable property owned by a non-Seychellois. Government Sanction is required before purchasing. For the application, it is advisable to hire the services of a notary. The Land Section at the Ministry of Land Use and Habitat processes the application of the non-Seychellois buyer. An offer for the property involved is published in "The Nation", a national daily newspaper. This is to give priority to a Seychellois to acquire the property before allowing a non-Seychellois to purchase it. Upon approval, the foreign buyer registers the property at the Registration Office, which includes payment of registration fees and duties. If the seller is the Government, the transaction has to go through the Lands Division, which forwards it to the Attorney General's Office. The Attorney General's Office is responsible for the transfer of all State properties. Note that the Government grants leases if purchasing for commercial or industrial purposes. The Government does not allow sale for such activities. When purchasing, the non-Seychellois buyer is required to deposit SCR1 million (US$74,074) to SCR2 million (US$148,148) in the Central Bank of Seychelles in foreign currency. This is to be converted to Seychelles Rupee upon withdrawal, which is then used for the transaction. If the property being purchased is a developed land, the purchase price should not be less than SCR1 million (US$74,074). In the case of purchasing a vacant lot, it should not be less than SCR2 million (US$148,148). Seychelles uses Seychelles Rupee. Exchange rate is at US$1=SCR5.6533 as of 17th July 2006. How high are estate duties in Seychelles? I have seen your questions. you can either invest in partnership, offshore ect.